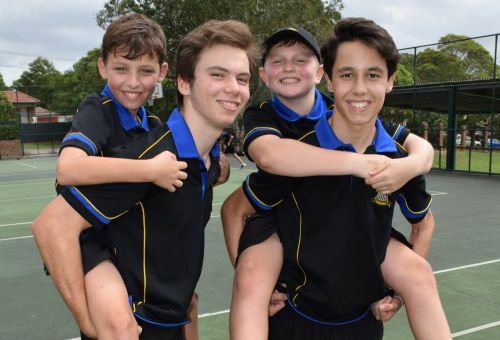 Peer Support Day was held on Friday 16 March, and was a chance for Year 5 students to be further brought into the St Patrick’s community and supported by Year 10 student leaders. It was a day of fellowship and enjoyment, a chance to make memories and new friendships. Many of the Year 10 students reflected on their Year 5 Peer Support Day and how it had made them feel when they first came to St Patrick’s. As well as peer support activities focusing on intrapersonal and interpersonal skills, the leaders included a lot of games and sport activities to keep the young boys interested.